The OWTNM 2015 informal programme also includes simulation workshop run by Lumerical on 16th April. The purpose of this workshop is to allow attendees to gain insight and get some hands-on training on software. The workshop will be free to attendees. Lumerical Solutions will present and discuss some of the methodologies and challenges associated with the design and simulation of complex photonic components, highlighting the applicability of various solver algorithms and modeling techniques. Attendees will have the opportunity to work with real examples using Lumerical software tools during the workshop. Users are not required to have used the software before, although a basic familiarity may be helpful and can be obtained by watching the product introductory webinars and/or using a trial version of the software. Computers and software licenses will be provided to attendees at the event. Workshop participants at OWTNM can gain personal access to Lumerical licenses for a week following the workshop itself. This gives participants an opportunity, if they like, to continue to try the software for a short time after the workshop. They can download and set up the software on their own computers at their convenience. The licenses will be active from April 15th through April 23rd. Upon registering, the attendees will receive an email with an activation code, and additional details regarding setting up the software. The online portal provides links to download the relevant software packages. Access to the software will be provided on site at the training and activation is not absolutely necessary, but available. Attendees will need to log in or register on the Lumerical site. After logging in, the users will be directed to enter the workshop code. For the OWTNM 2015 Simulation Workshop, the code is: F4C171. After entering the code, follow the instructions (click confirm) to receive an activation code via email and access links to the relevant software packages. 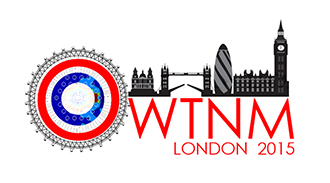 Please book your place (as we have only 40) by emailing us at owtnm2015@city.ac.uk. Introduction to Lumerical’s product suite. In this brief introduction, we will explain how Lumerical’s products can be used either standalone or in combination to solve a wide range of design challenges. Waveguide-based electro-optical modulators. In this practical example we will see how a waveguide-based Mach-Zehnder modulator can be designed and simulated. We will first calculate the charge density in a PN junction in an optical waveguide as a function of bias voltage. We will then see how this information can be used to calculate the change in effective index and loss of the waveguide as a function of applied voltage. Finally, we’ll see how these results can be used to create a compact model of a Mach-Zehnder modulator for use in a transceiver simulation. Nonlinear vs linear simulation with FDTD - practical tips and best practices. We will review how spectral information is efficiently obtained from linear systems using FDTD. We will then discuss some of the additional challenges create by nonlinear simulation, such as: nonlinear material models, setting up the mesh, defining source time signals, phase matching conditions in FDTD, determining conversion efficiencies and extracting mode profiles.